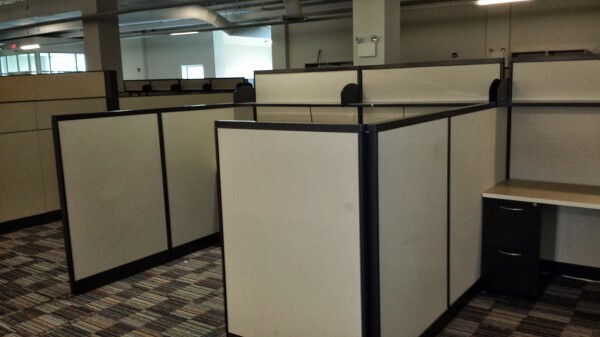 These are lightly used AIS M-Wall used office cubicles located in Dallas, Texas. Each cubicle is 65″ tall on the spine and drops down to 53″ tall on the wings. Each used cubicle comes with one box box file, one file file and two open shelves with task lights. Call or email us today about this inventory.